Finish with a flourish. 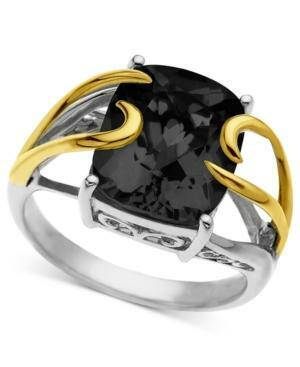 This gorgeous ring features onyx (12/10mm) set in 14k gold and sterling silver. Size 7.